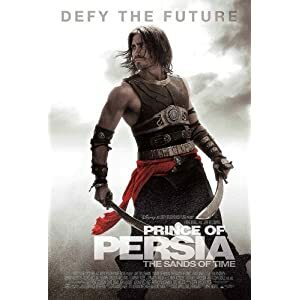 A Green Studded Shield from the 2010 Jake Gyllenhaal epic adventure, Prince of Persia: The Sands of Time. 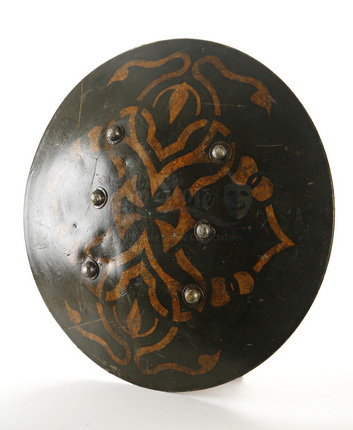 Shields such as this can be seen throughout the film carried by soldiers of the Persian army. 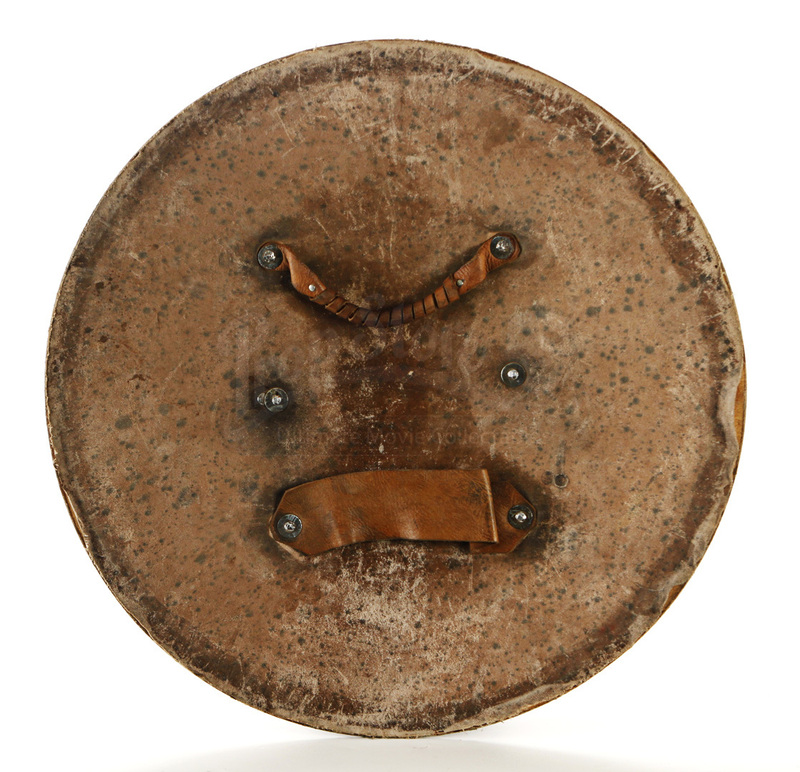 The circular shield is made of wood and features a faux leather covering on the front and back. The face of the shield is colored dark green with an intricate gold design, as well as several silver colored metal studs. 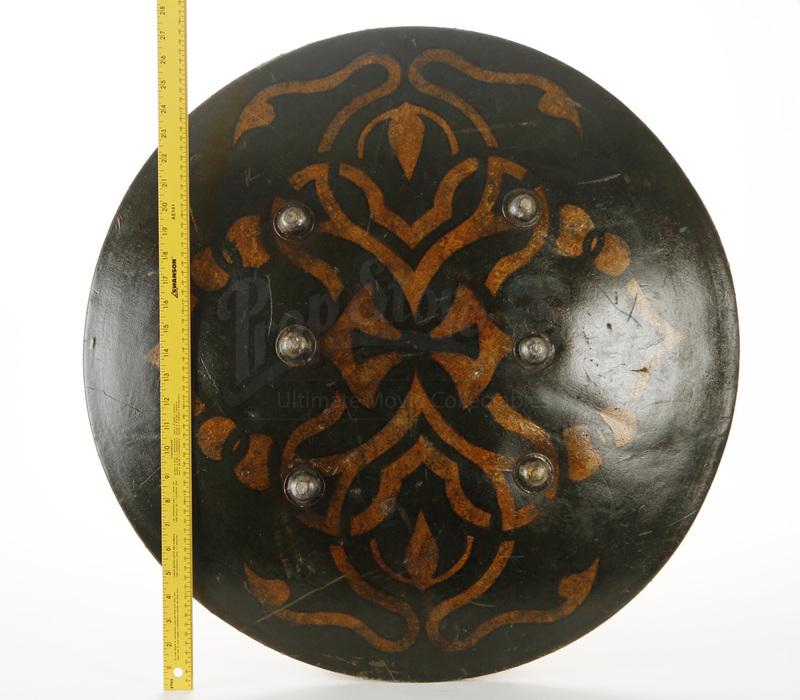 At the back of this battle-tested shield, are two leather handles which provide a sturdy grip. 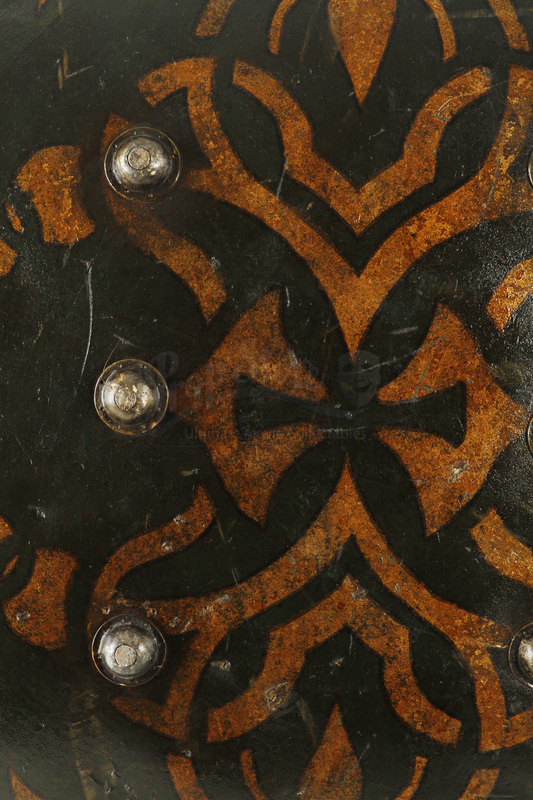 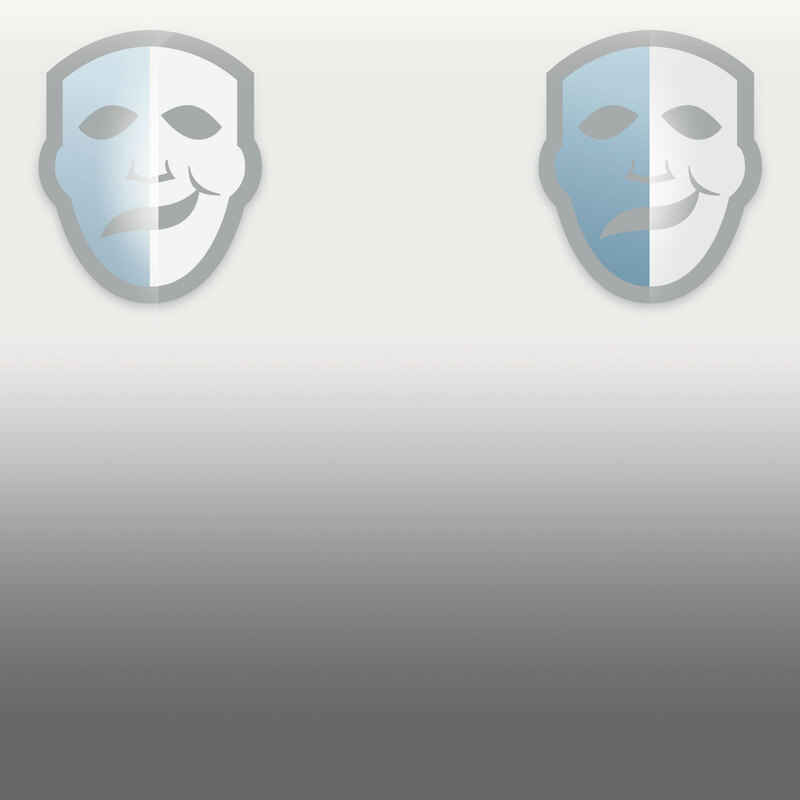 This shield has some wear due to production use but remains in good condition.